The sliders you create with WOW jQuery Slider will not only look fantastic, but will be optimized for accessibility, performance, and will have all the latest functionality and features. You can make endless adjustments to your slider with a simple click of the mouse when using WOW jQuery Slider. How do you want your slider to react? Do you want touch/swipe support, or maybe text descriptions and 3-D effects? Possibly thumbnail strip with play and pause control? That's not a problem for this jQuery Slider. To give you even more control, there are 50+ designs that are all completely unique, and 25 transitions that you can choose from. 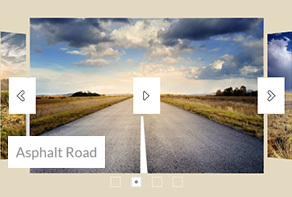 You can also find hundreds of live demos that will illustrate what can be achieved when using jQuery Slider. Simply drop images you wish to add as slides. Choose the options, effects, and skin you wish to use. Save your newly created jquery slider as a Wordpress plugin, Joomla module, or stand-alone page, with the Insert-to-Page Wizard embedded in page, with the use of the built-in FTP client, publisher server. There is no need to be a coding guru. You do not have to know or understand HTML code. Simply run website builder software, then open a page, click the location where you wish the slider to appear: that's it. jQuery Slideshow Generator will take care of everything; this truly is a no coding experience! The majority of jquery sliders use one bloated script for all their support. Because jQuery Slideshow Generator only generates the needed engine script depending on your chosen settings, the resulting final code is compact and only uses the required functionalities. As an example, if you use the default settings to create the jquery slider, it is only 6Kb. With the increased use of mobile devices, it becomes important that your website is accessible to all these devices. Touch screen gestures are supported by jQuery Slideshow Generator. This ensures that your visitors, using mobile devices, receive a smooth experience on your site. No matter what effect, template, or options you choose, jQuery Slideshow Maker is brilliantly responsive. 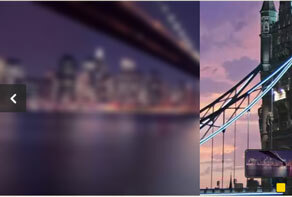 The image jquery slider will be consistently perfect on any device used by your visitors to view your site. Within the live preview area of your jquery slider, you can manage all parameters. This allows you to see exactly how your project will look before you publish. This "on-the-fly" ability-based customization is both fun and easy. You can easily customize every bootstrap carousel parameter, so that it fits your needs and web design. You can enjoy features such as: Navigation Control – with prev/next and stop/play buttons, filmstrip, bullets, and thumbnails, Loop, Auto-play, Random Order, Hide/Show Controls or Stop on Mouse Over, Crop Mode, Slight Delay, Image and Thumbnail Size, Watermark, Transition Speed and much more! You are never stuck with just one look; the theme collection gives you many options. With the pre-designed templates, your sliders and carousels will have a professional look right from the beginning. Within each template, the frames, fonts, controls, colors, and backgrounds have been perfectly coordinated. Simply add your own words and drop in your images or photos. In order to keep your customer's attention, when visiting your website, there are over 25 stunning effects and transitions for both images and text. This will give you ample opportunity to affect your visitor's experience on your site. As opposed to the usual box layout, with the full width option you can set your jquery carousel slider so that it will span across the whole width of any browser your visitors are using. This will make your images stand out. I want you to imagine a slider propagated with 128 images. If you were to put all these images in plain HTML code, your page loading time and performance would be dramatically decreased. With jQuery Carousel Generator, this has been corrected by use of the "On-Demand Loading" option, sometimes called "lazy loading", which only loads images that have entered or are about to enter the viewpoint. I am sure you are aware that online HTML5 Video, YouTube in particular, has become even more popular than cable television. YouTube and Vimeo are both supported by jQuery Slider, allowing you to liven up your slide presentation by supplementing your regular images. Often times the text and images on your site are not enough to ensure the attention of your visitors. You can easily add dynamics and pace to your slider with the including of an audio soundtrack. Publishing your image slider to Joomla or WordPress has never been easier. 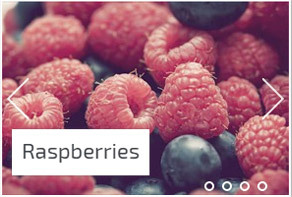 jQuery Slideshow Builder includes the ability to export to both Joomla and Wordpress plugins. Your native language is most likely supported by the jQuery Slider Builder app interface. The interface has already been translated to 38 languages. This makes it easier for users who are not very familiar with English, to efficiently and quickly begin creating sliders. 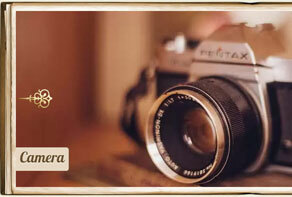 Adding photos to the slider from Photobucket, Picasa, or Flickr is extremely easy. Simply paste the URL of the photoset, photostream, or just single photos, and defined the number of images to be imported. You have the ability to work cross-platform, on Mac machines and PC machines. jQuery Slider Creator can be set up to seamlessly run on either system, using the same features, project files, and interface. It is obvious that different images will have different orientation, sizes, and resolution; there is no need to use several different photo editors in order to get your pictures ready for slider; jQuery Slider will take care of it. You simply specify your size/crop settings and jQuery Carousel Slider will create perfectly proportioned images tailored to your settings. Plain HTML5 is used to build the slider. This makes it easy for the search engines to crawl the site efficiently, while still keeping your site looking cool. This makes your site not only pleasing to your customers but will keep search engines, from sites such as Google, happy at the same time. There is no need for you to use separate FTP software. jQuery Slideshow comes with a built-in FTP client that allows you to securely and instantly send all your slider files directly to your server. It is getting more and more popular to share your content on Facebook. jQuery Slideshow allows you to share your content with a simple click of a button located on the toolbar. One click and your jquery slider is there, turning your slideshow into an event for the whole world. If you wish to use jQuery Slideshow for non-commercial use, it's free. It can be used for free on a non-commercial blog, a school site, or a website for a non-profit organization; simply download jQuery Slider App and you're in business.